Anyang city is an ancient city with a history of over 3,000 years and is one of the Eight Ancient Capitals of China, and also one of the best preserved. It is one of the key birthplaces of Chinese ancient culture. Here there are primitive caves from 25,000 years ago on the far western edge of the city, which were home to prehistoric cavemen during the Stone Age. Over 7,000 artifacts (including stone tools and animal bone fossils) have been unearthed here. The city has three large museums: the Anyang Museum, the National Museum of Chinese Writing, and the Yinxu Museum on the ruins and royal tombs of the Shang Dynasty. Anyang also has beautiful natural scenery—the Taihang Linlu Hill Scenic Area on the 400-kilometer Taihang Mountains and the grand 1,500-kilometer Red Flag Canal. 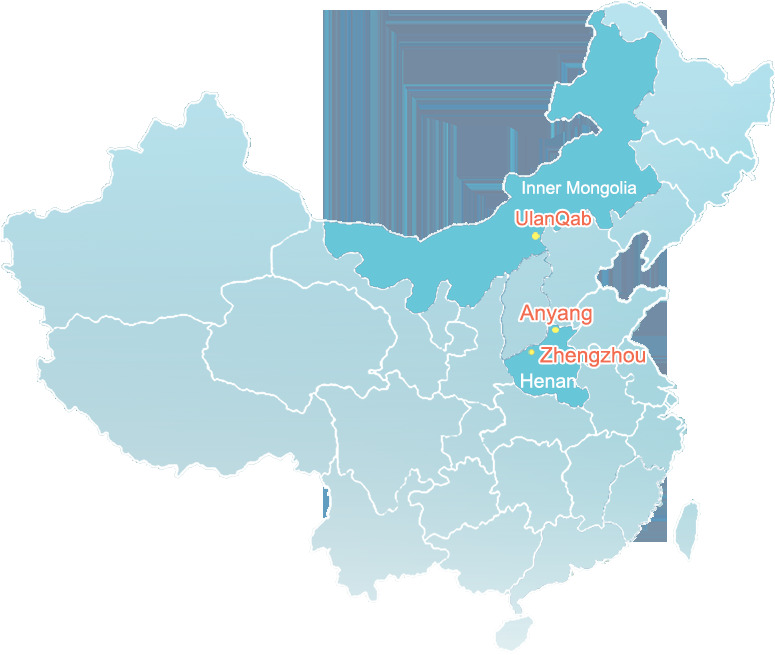 Zhengzhou is the capital of Henan Province in the central part of the People’s Republic of China. 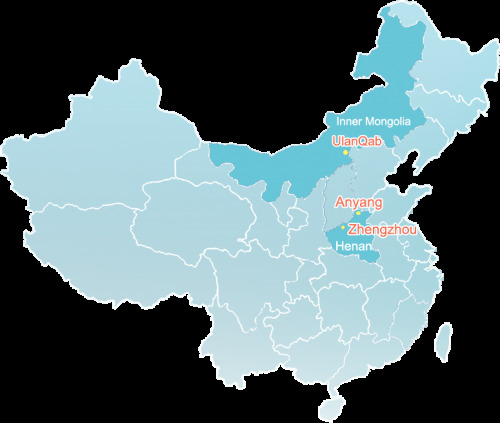 It is one of eight Ancient Cities- the kernel of the Chinese Central Plains Economic Region. It is a famous Historical and Culture City, a significant birthplace of Chinese Civilization, and the birthplace of the Yellow Emperor. Historically, Zhengzhou was the capital of China for a thousand years. The city lies on the southern bank of the Yellow River, and as a center of the national transportation, there are railways connecting Zhengzhou and Europe. The history of Wulanchabu can be traced back to the Warring States, when it was part of the Zhao and Hun States. After the Qin Dynasty’s unification, Wulanchabu became it’s own territory. Early during that time is when it got its formal name. A famous feature is the grasslands. Gegentala Grassland is one of the most unique grasslands in Inner Mongolia. Gegentala means “a summer resort ” in Mongolia, featuring cool weather, and fascinating natural scenery.